Three times, in three days, shattering three world records - Human spirit at its foremost, for, unlike a machine-like race for the next milestone, one did pause to marvel the moment and live in its spirit. 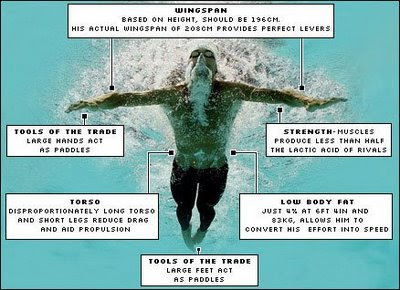 And then there is Michael Phelps of the USA, the most decorated athlete of all times at the Olympics, winning eight Gold medals in eight aquatics events - getting a Gold in all events in which he participated at 2008 Summer Olympics games, and setting a record for doing so also. Phelps is special in more ways than one.